General John W. “Jay” Raymond will speak and answer questions about the Air Force Space Command which provides resilient and cost-effective Space and Cyberspace capabilities for the Nation. General Raymond is Commander of Air Force Space Command, located at Peterson Air Force Base, Colorado. 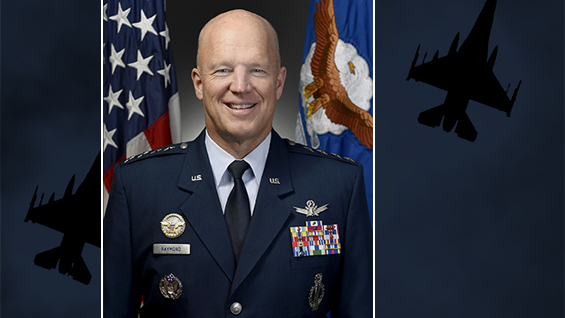 In this role, he is one of the highest-ranking, uniformed officers in charge of Space for the Air Force and the Department of Defense. He is responsible for organizing, equipping, training and maintaining mission-ready space and cyberspace forces and capabilities for North American Aerospace Defense Command, U.S. Strategic Command and other combatant commands around the world. General Raymond oversees Air Force network operations, manages a global network of satellite command and control, communications, missile warning and space launch facilities, and is responsible for space system development and acquisition. The command comprises approximately 38,000 space and cyberspace professionals assigned to 134 locations worldwide.